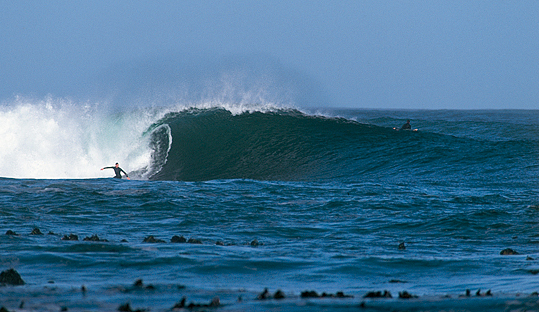 The coastline of South Africa is the oldest shoreline on earth, and aeons of erosion have created an underwater topography ideal for creating some of the best mid-latitude surf, anywhere in the world. 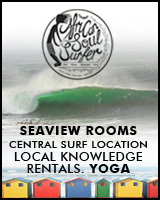 The irregular shoreline of the Cape Peninsula, along with its 180 degree swell window, allows it to offer the best density of varied spots in the whole country, ranging from beginners beachbreak in False Bay to fearsome big-wave venues like Dungeons. Cape Town is a vibrant, cosmopolitan city, surrounded by natural beauty and overlooked by the iconic Table Mountain. Winter S-SW swells are consistent around 10ft at 12 seconds interval and can hit 30ft in August. March-April tend to be the cleanest, before the major winter cold fronts sweep across the Peninsula accompanied by NW winds and plenty of swell activity, meaning the S-facing spots are the go. Summers are usually warm and dry, as strong SE winds known as The Cape Doctor blow through in the afternoon. High pressure initiates warm, offshore Berg winds, meaning SW-exposed spots will have small, perfect conditions. Water temps hardly ever exceed 15°C (59ºF) and sometimes drop down to 9°C (48ºF) thanks to summer upwelling. Tidal range can reach 3m. Winters (May-Sept) see many cold fronts and low pressures pass over, bringing wind, clouds and rain from the NW. As the cold front passes over, SE winds blow from False Bay to Table Bay, creating the famous misty tablecloth on Table Mountain. There are plenty of cultural sites and some great bars and nightclubs. Take the classic cablecar ride up Table Mountain. Since 1960 there have been 30 shark attacks in Cape Town, on average 1 every second year. The main worry is the thick kelp at some spots and the oceans’ power. For such a big city, crowd pressure is low and it’s ranked as South Africa’s safest, but you still need to be careful. Stock up on cheap surf gear from the numerous well-supplied surf shops. Rental car from $150/w, gas is cheap ($0.90/l). Consider buying a car if you spend more than a couple of months travelling around the country. J-Bay is an 8-hour drive.